Sufficient to say, they are talented DJs, whose 4 mixes were aired on Solid Steel in the past, two of which were released as "Virtual Cuts" - namely the best mixtape released in the history of electronic music in Poland. The year 2000 was a landmark for them, as they travelled the country with DJ Vadim and his Russian Percussion, presenting an amazing 4-deck show. 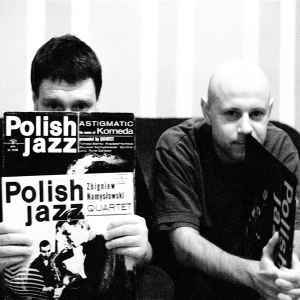 Later that year they released demo CD-R titled "Polish Jazz", which not only received a lot of critical acclaim, but also led Skalpel to signing a contract with Ninja Tune.